Augusta Huiell Seaman (April 3, 1879—June 5, 1950) was an American author of children's literature. 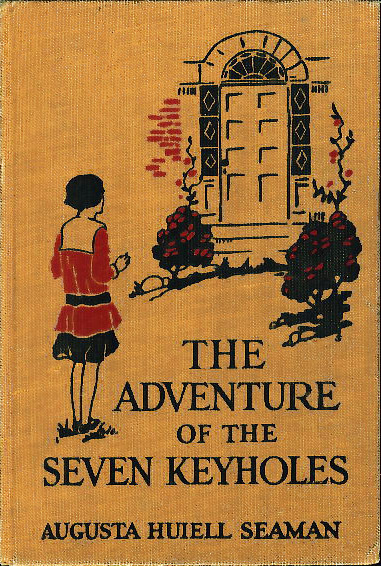 Seaman is credited with creating the juvenile girl's mystery genre a decade before the Nancy Drew series books appeared. She graduated from Normal College (Hunter College) in New York City in 1900 and went on to teach elementary school fifth graders. Following her marriage in 1906, she devoted her time to writing children's books. She initially wrote historical fiction but was not very successful in getting her stories or books published. She then turned to mystery stories and her first book, The Boarded-Up House, was a success. Seaman was a prolific author: between 1910 and 1949 she published 42 books for older children, as well as serialized versions of these novels and many short pieces, both stories and non-fiction, in the most popular magazines of the day. She was well-loved: many of her books remained in print for twenty or thirty years or more, mostly as public library editions. In many ways, Seaman's books are as pat and formulaic as the traditional "series books"; and because they are not numbered, referred to as a "non-series series." She was able to write books that charmed older children without writing down to them because as a teacher, she knew how mysteries captivate the imagination of children. At the time, there were no mysteries being written for younger readers, especially girls. Today Seaman books are increasingly hard to find in hard copy but are known among many booklovers as 'Nancy Drew for smart kids'. Epub 20160231.epub If you cannot open a .mobi file on your mobile device, please use .epub with an appropriate eReader. Mobi/Kindle 20160231.mobi Not all Kindles or Kindle apps open all .mobi files.